It can be quite challenging to juggle a family schedule, especially when you consider doctor’s appointments. General and cosmetic dentist Akbar Ebrahimian, DDS, at Premier Dental in Sugar Land, Texas, appreciates that family dental health is essential. That's one reason Dr. Ebrahimian has made a career serving men, women, and children at all stages of life. 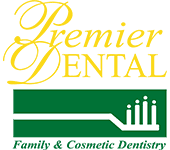 Call Premier Dental or book an appointment online today if you’re looking for a dentist to work with your entire family. You need a dentist who puts your family’s needs first. Dr. Ebrahimian and the team at Premier Dental know that. They’re committed to working with you to ensure hassle-free dental care for the entire family. Even if your family has both young children and adults, Dr. Ebrahimian can cover dental health concerns for everyone. Training in nearly every aspect of oral care makes Dr. Ebrahimian an exceptional family dentist for all stages of life. Why should children go to the dentist? A pediatric dentist can ensure your children’s mouths stay healthy throughout their lives. The sooner you can bring them in, the healthier their mouths will be. The American Dental Association and the American Academy of Pediatrics recommend your child get a dental checkup by age 1, or once their first tooth comes in. Optimal oral health for your children starts with you. To get them started, take your children to see Dr. Ebrahimian. If he finds a cavity, he quickly and expertly repairs the damage to your child’s tooth. Dr. Ebrahimian understands that your kids need to feel safe and comfortable at the dentist. A friendly atmosphere is essential! Dr. Ebrahimian’s warmth and kindness encourage good dental health as they develop. Dr. Ebrahimian explains the importance of brushing and flossing to make caring for your child’s teeth an enjoyable and relaxing experience. Why might your child need to see an orthodontist? Your teeth and bite are continually undergoing minor changes. Sometimes they need to be adjusted or straightened, and that’s where an orthodontist can help. For the best results, it’s crucial to take care of orthodontic concerns during childhood or adolescent years. Optimal results may not be possible once your child’s face and jaws have finished growing. You need an experienced general dentist who can care for your whole family, so schedule an appointment online or call Premier Dental today.